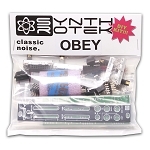 Please note: this includes the PCBs and panel for the OBEY module only. You will need to source the rest of the parts yourself using the Bill of Materials link below. 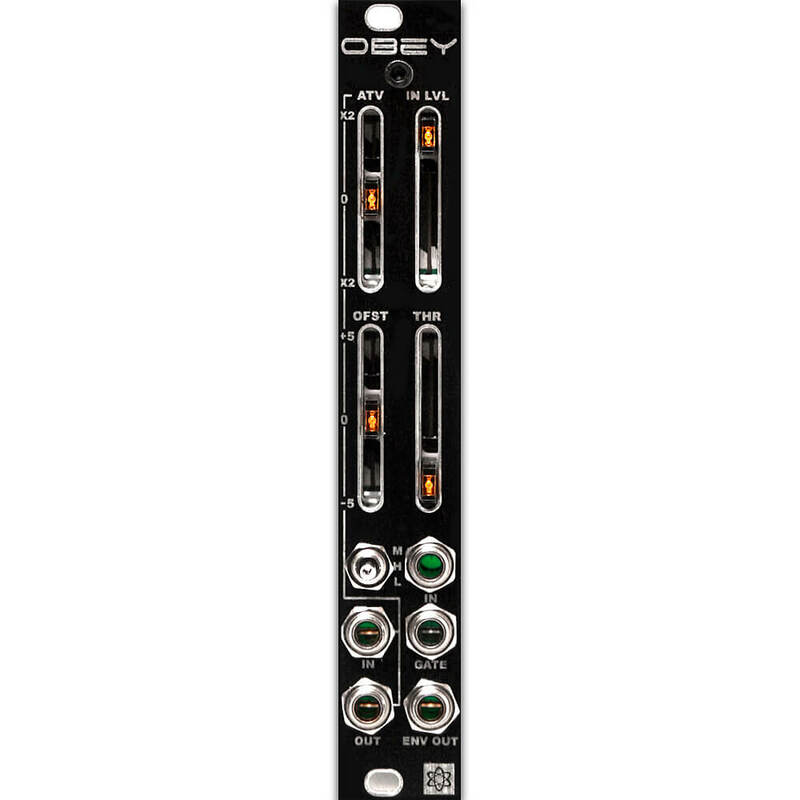 OBEY is a dual-function module: one half envelope follower and one half attenuverter / offset generator. 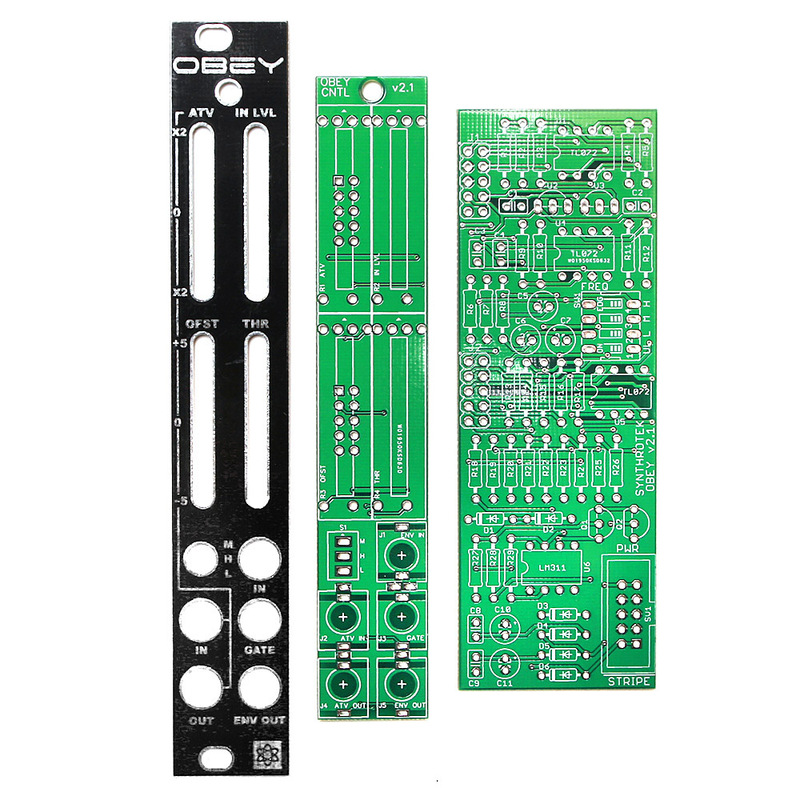 The OBEY takes an audio or CV signal and uses it to trigger an envelope or gate for use in a Eurorack system. 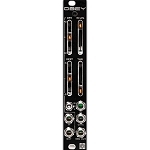 It is designed to work with a wide variety of input levels: plug a Eurorack module, passive microphone, piezo, guitar, drum machine, Game Boy into your Eurorack system. Attenuvert your voltage sources up to two times in the positive or negative! 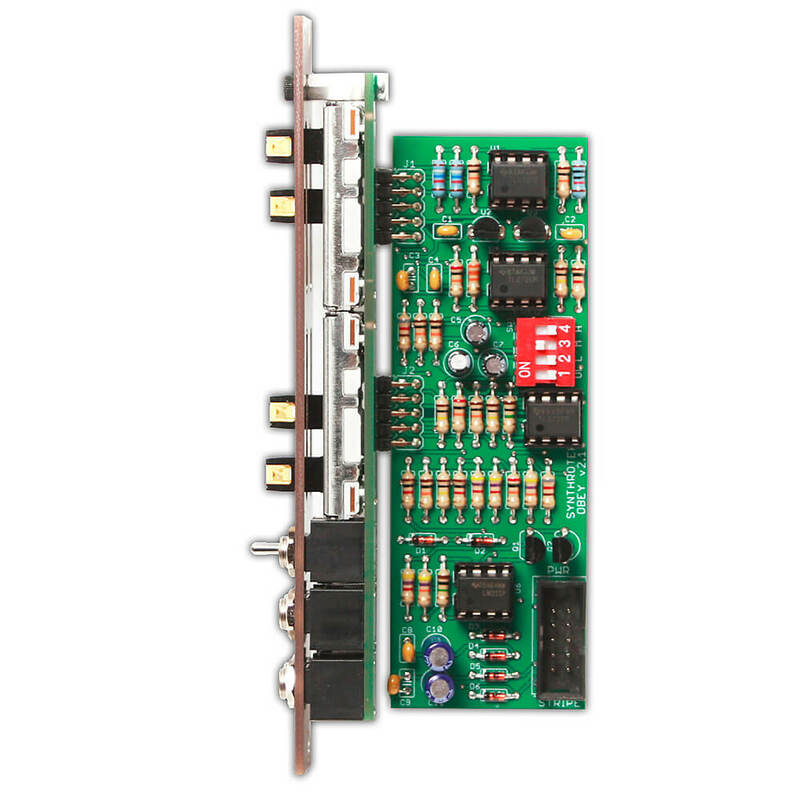 The offset generator provides up to 5 volts in the positive or negative.